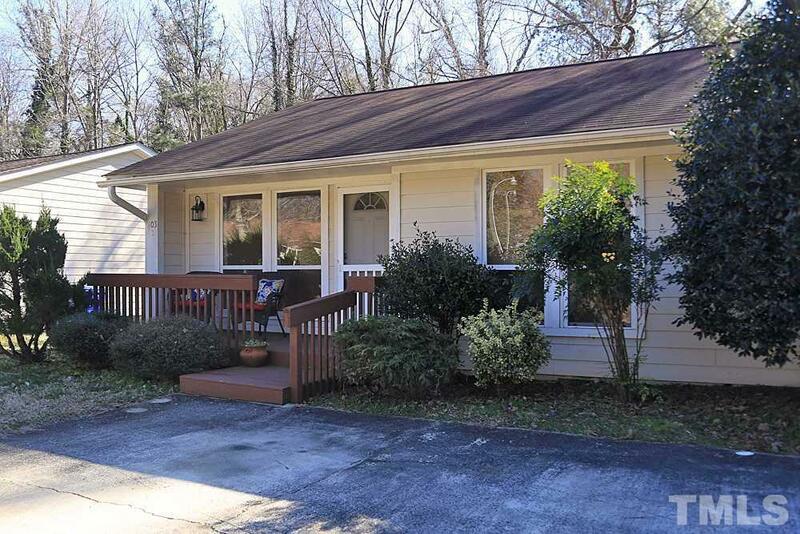 Nestled in wooded Sylvia Square this 1-level, nicely sized 2-bedroom condo is just blocks to hip downtown Carrboro. Head over to Johnnys for morning coffee or to catch the bus to UNC. 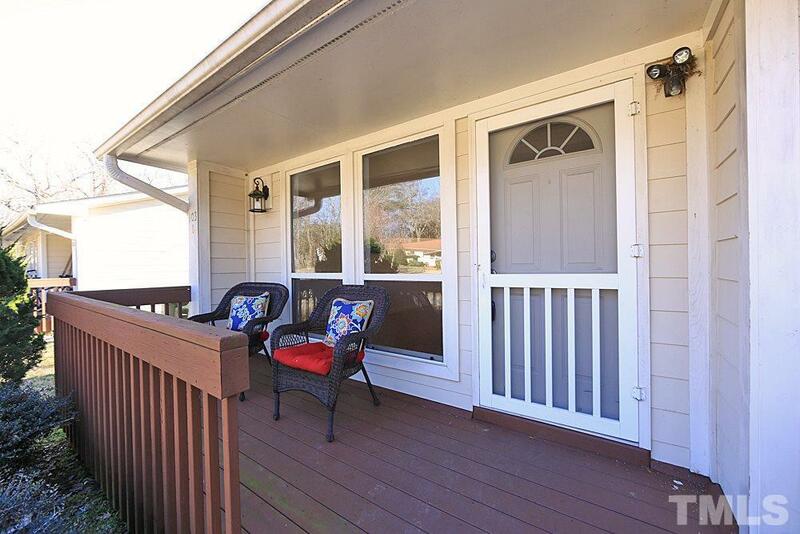 Cute front porch & big private back deck w/ extra storage boosts your living space & are perfect spots to entertain or sit quietly & read. 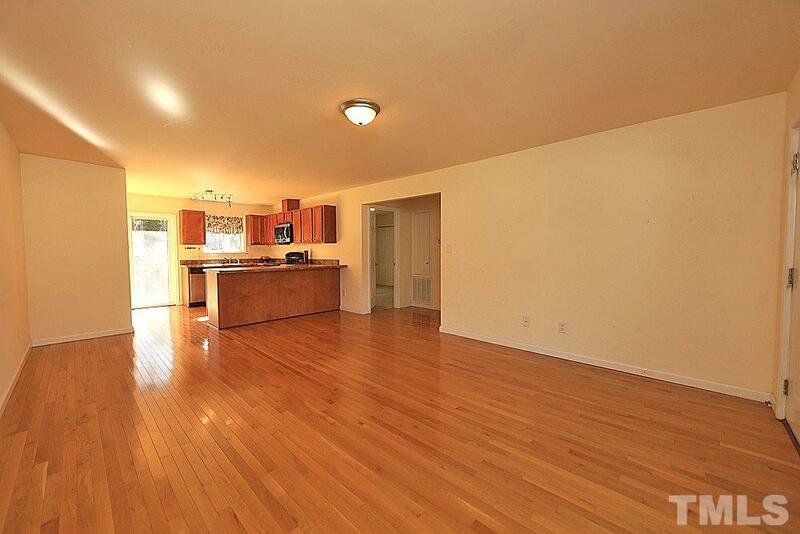 Inside the kitchen has plenty of counter & cabinet space + a cozy breakfast area. 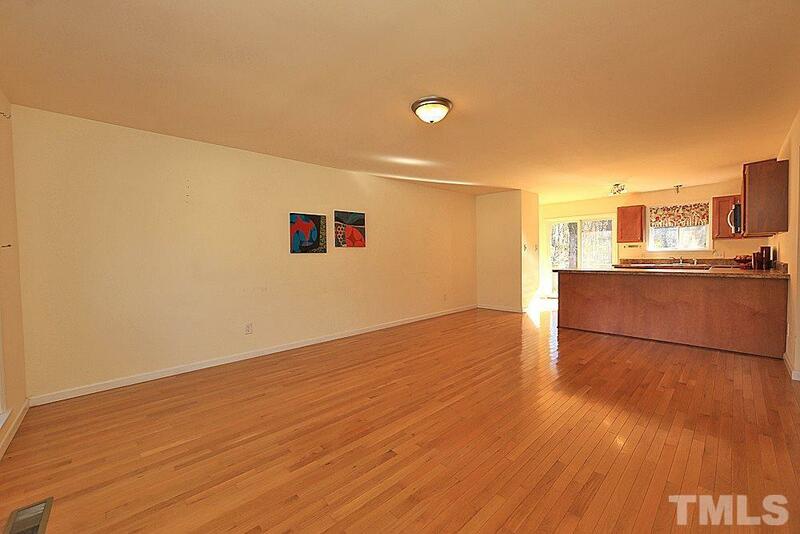 The big LR windows fill the house w/ warmth & sunshine. In CHCCS. Location. Value. Possibilities!